Pobavit se svými anglickými přáteli o budoucnosti může být docela příjemné a zajímavé. Pomůže vám v tom následujících 83 anglických frází na téma budoucnost. 3. Who invented the very first computer? 5. What is the definition of a 'robot'? 7. Where did the word 'robot' come from? 8. Can robots tie shoes? 9. Will robots replace humans? 10. Will robots take our jobs? 11. How will the development of robots that think change your future? 12. Imagine the job you wish to hold when you get older - could a robot be programmed to do that job as well as you? 13. A film like The Matrix has explored the idea that we might be living in virtual reality. But what evidence is there for or against this hypothesis? And what are its implications? 14. Do you know ISAAC ASIMOV? What did he do? 15. Can you think of movies that have robots in them? 16. Did you enjoy this movie? 17. Do you think we create a new problem with each invention? Think of examples. 18. Is there anything that does not yet exist that you would like to see invented? What is it? 19. Where do you plan on going to college? 20. What type of job would you like to do in the future? 21. How do you get that type of job? 22. Will you make much money in that job? 23. Do you want to get married? 24. Do you know who you are marrying? 25. What high school are you going to go to? 26. How can we preserve the future for the next generation? 27. How will computers change in the future? 28. How will cellphones change in the future? 29. How will transportation develop in future times? 30. How old will people live to be in the future? 31. What kind of developments might happen in health care in the future? 32. Could there be another world war in the future? How can we prevent a world war from happening? 33. Where do you plan on going in the future? 34. 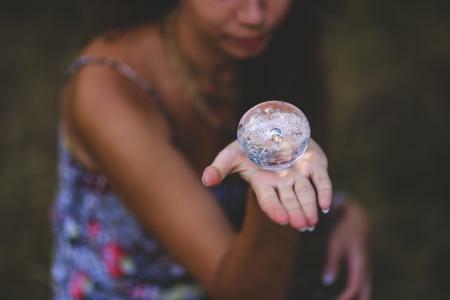 Can fortune-tellers predict the future? 35. Is it possible to know the future? 36. Where do you hope to travel before you die? 37. What do you hope to do in your life? 38. How will technology change? 39. Do you think life will be more difficult or easier for our grandchildren? In what ways? 40. How do you think your country will change in the future? 41. How will the United States and the world order change in the future? 42. How do you think you will change in the future? 43. Do you think the future will be better or worse for your grandchildren? 44. Do robots go to college? 45. Would you marry a robot? 46. Do you think that one day robots will serve as childcare providers? 47. How would you feel if you child liked the robot better than he/she liked you? 48. How will computers change in the future? 49. Where do you plan on going in the future? 50. How do you think your country will change in the future? 51. How will the United States and the world order change? 52. Do you think the future will be better or worse for your grandchildren? In what ways? 53. How long will people live in the future? 54. Would you want to live on another planet? 55. Should the world solve all of it's problems before humans move into space? 56. What is the future of money? 57. What if you could program your children's genetics? Would you want to? What would you change? 58. Do you believe animals can be preserved? 59. Would you like to live in a city inside a building? 60. Do you believe faster-than-light travel is possible? 61. Do you know who will be your future husband? 62. Do you think one day robots will serve as childcare providers? 63. If we suddenly found out there were alien civilizations on other planets, would that change our world? How? 64. If we could make molecule-sized robots, what could we do with them? 65. What new kinds of energy might be used in the next 100 years? The next 1000 years? 66. What will the human race look like in 1,000,000 years? 67. If it were possible to read minds, would you want to? 68. What will the cars of the future do? 69. What will future houses look like? 70. If you could live under the ocean, would you want to? 71. Would you become half-robot if it meant living 1000 years? 72. If you could fly on a rocket faster than light, and return to Earth in 1,000 years, would you do it? 73. Will there be one global culture? If so, what will it look like? 74. Would you like to live in cyberspace? What could you do there? How would it differ from life in reality? 75. Do you think the Earth will become overpopulated? Will there be any forests left? 76. Would you like to have a robot in your house? 77. Who should live on the moon? Should land on the moon be bought and sold? 78. What will education be like in the future? 79. Do you have an idea for an invention? 80. Will robots be as smart as people? Will they get jobs too? 81. What are the positive and negative effects of technology in the future? 82. If you don't like your job now. What is the job you would like to have in future? 83. What is your lifetime dream? 83 konverzačních frází o budoucnosti. Dnešní konverzační téma je budoucnost. Máme pro vás 83 praktických anglických frází týkajících se budoucnosti.